Unbelievably, this poem, which sounds as if it was written specifically for the great Nelson Mandela, was first published in 1875. He was born to achieve. Evil, racism borne of fear, prison confinement could not stop him. He was royalty. He did not work as a leader, he was a leader. Mandela’s well lived life proves the words of Rev. Martin Luther King, Jr, “The arc of the moral universe is long but it bends toward justice.” Rev. King spoke these words with certainty, and Mandela lived out this belief without hesitation. 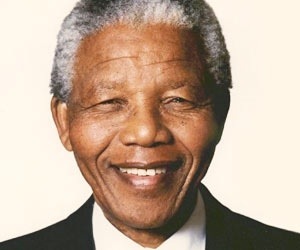 The Bible instructs us in Romans 12:21 to “be not overcome by evil, but overcome evil with good.” Mandela obeyed, and his life serves as the North Star for the rest of us.